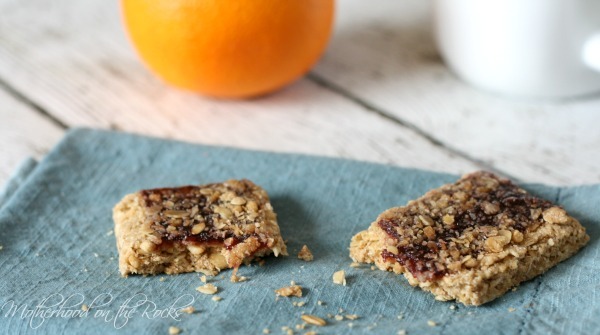 Easy, Delicious and Healthy: Are These Nutri-Grain Bars the Perfect Breakfast? I participated in an Influencer Program on behalf of Mom Central for Nutri-Grain. I received product samples and promotional item to thank me for participating. They say breakfast is the most important meal of the day. If that’s true, then why do I find myself skipping breakfast on most days and, on days when I don’t skip it, I eat something really boring or unhealthy? The answer to both questions is simple. I skip it because my mornings are usually filled with chasing a 3 year old around and making a good breakfast for her. And I eat unhealthy breakfasts because donuts and fast food egg sandwiches are so darn delicious. That’s why I was pretty happy recently when Nutri-Grain reached out to me with a chance to taste test their Fruit & Oat Harvest Cereal Bars. Long story short, the bars are my new favorite morning meal because they’re A) fast and easy and B) even tastier than that greasy egg sandwich I might get from the drive thru. Oh, and they’re also pretty good for you. Each Nutri-Grain Fruit & Oat Harvest cereal bar contains 4 grams of protein and a hearty combination of real fruit and whole grains. As for the delicious part, they’re available in Country Strawberry and Blueberry Bliss flavors. I like the strawberry ones and my hubby prefers the blueberry. Our little one, on the other hand, will eat just about anything you put in front of her, so she naturally likes both flavors. As if I didn’t have enough reasons to love them, they’re also great because they’re so portable. I can toss a few of them in my purse for a quick “emergency snack” any time of the day, which means I won’t be tempted to make that fast food pit stop for “just a few things on the dollar menu” while we’re out running around. For more info about Fruit & Oat Harvest Cereal Bars and all sorts of Nutri-Grain products, feel free to follow them on Facebook!